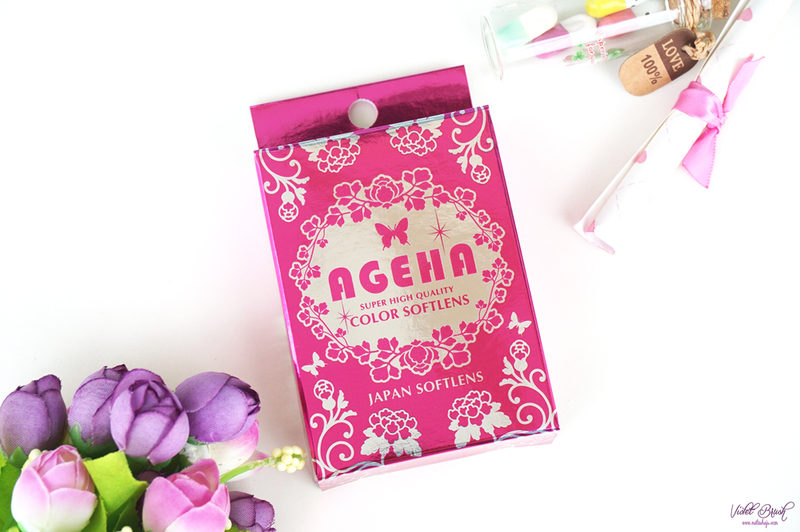 Ageha's Rich Pink Circle Lens comes in a metallic pink box, a usual packaging of Ageha Circle Lens. Inside, there are a pair of the circle lens, lens container, a leaflet of instructions in Japanese (in which I don't understand, at all), and a charm bracelet as a bonus. I think that it would be better if they include a leaflet of instructions in Indonesian, though. 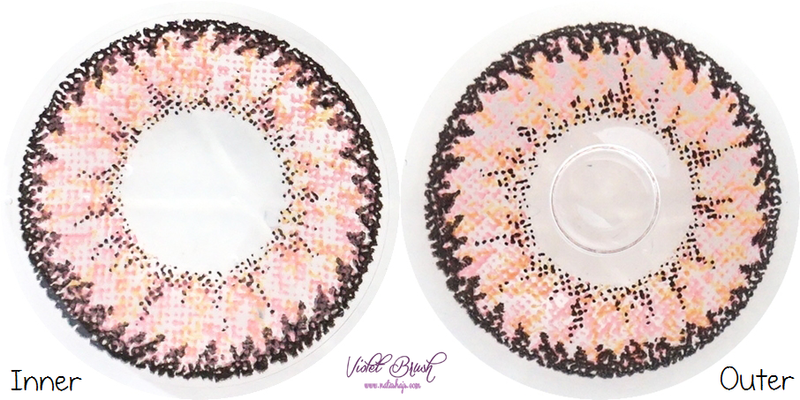 If we talk about circle lens' designs, there are a lot of designs out there but honestly, I prefer the usual natural design (even with crazy colors) and Ageha's Rich Pink Circle Lens has both natural pattern design and shocking color, although I think it's more to abstract pattern. There is an outer grayish-black ring which did a good job in enlarging my eyes. 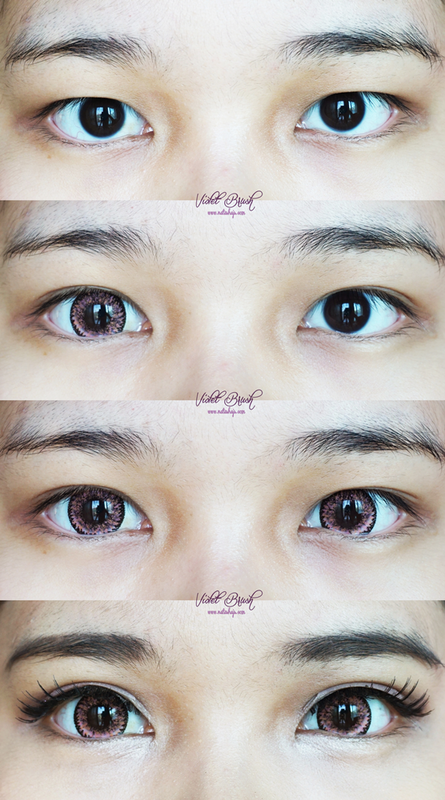 Although it doesn't give the dolly-eye effect, I'm really satisfied with its enlargement effect for my small eyes. 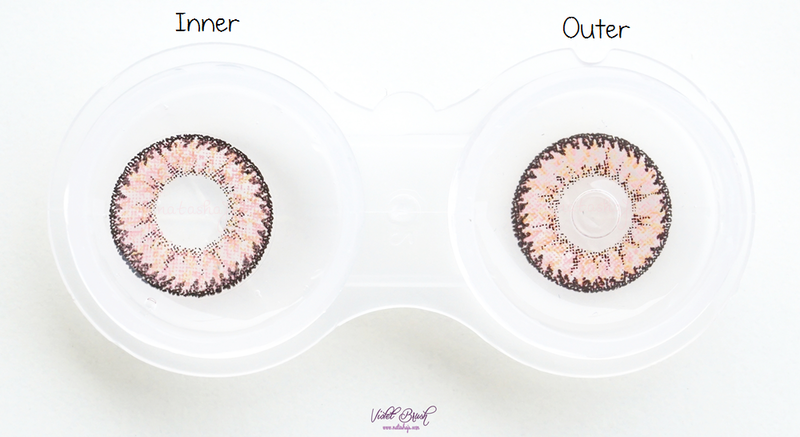 Despite its 14.5 mm diameter, which is not much different from natural eye's diameter, it gives enough enlargement effect to my eyes as I said above. 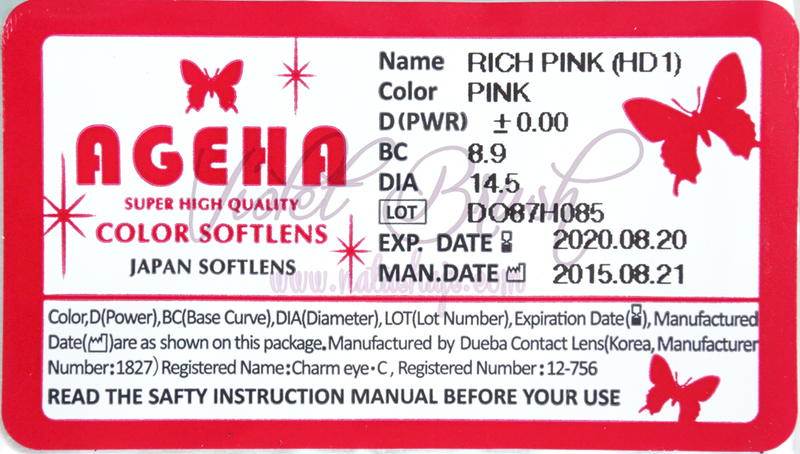 Pink might sound scary to you but Ageha's Rich Pink Circle Lens is not that 'crazy' on the eyes. 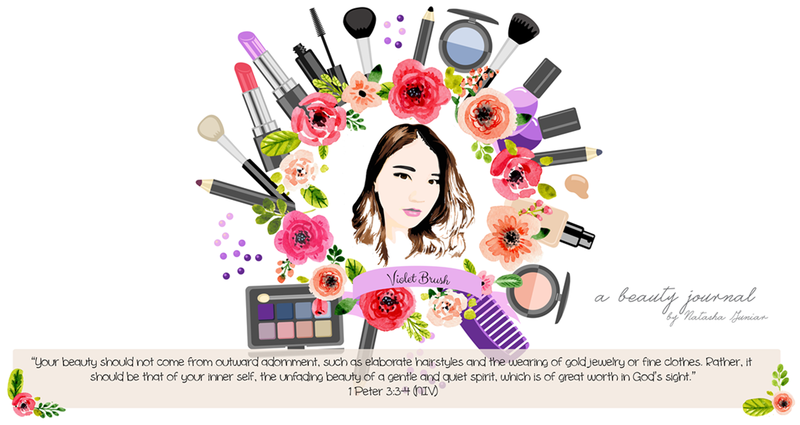 It doesn't make my eyes look like those unnatural manga eyes. Instead, it's pretty natural with slight of cat eye effect. 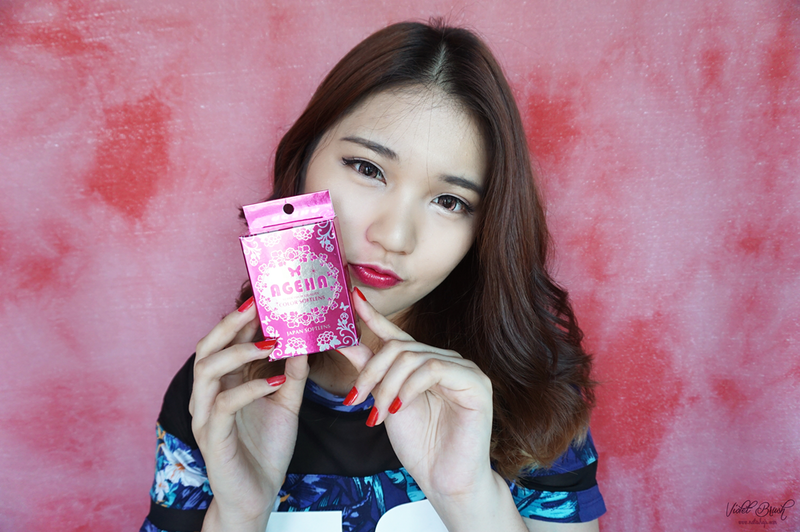 In fact, a lot of beauty bloggers have raved about how comfortable Ageha circle lens are on the eyes. Now that I've tried my own, indeed it's really comfortable. However, not to the extend of feeling like there's nothing on my eyes. I still feel like I'm using something on my eyes and I still need to apply eye drops after about five hours.